More than four and a half million people use the railway each day and it is crucial to the UK economy. The rail network consists of 20,000 miles of track, thousands of bridges, tunnels and viaducts, as well as thousands of signals, stations and level crossings throughout the country. Significant upgrades and expansion is taking place across the rail network, along with HS2. 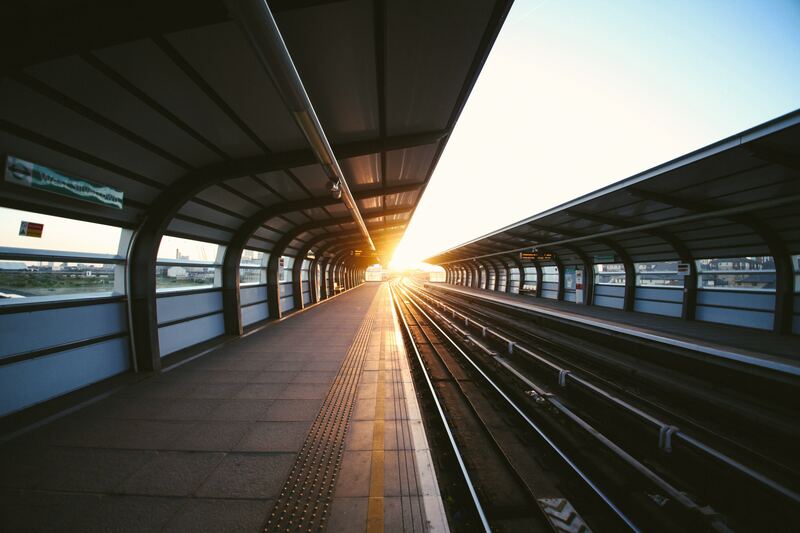 The rail industry however faces a number challenges, including an ageing workforce and a clear demand for staff with specialist technical skills. The apprenticeship levy, introduced in April 2017 offers the rail industry (and the subcontractors that support the industry) with a unique opportunity to completely review workforce development needs, recruitment strategies, and look at how apprentices can provide the expanding highly-skilled workforce that is required. Research by the National Skills Academy for Rail showed that only 20% of the £35 million levy paid by rail industry employers is actually being used. That means that £28 million remains untapped, which could be used to drive workforce growth and skills development. Seventeen new apprenticeship standards have been developed (or are in development) by employers specifically for rail, with over 150 other standards available in engineering, manufacturing, customer service, digital and business administration roles which all support the rail industry. These range from level 2 apprenticeships (entry level) through to level 7 post-graduate apprenticeships. An apprenticeship is a job coupled with ongoing knowledge, skills and behaviours development for its duration. For that development to be robust, there is a requirement that at least 20% of the apprentice’s time is spent in off-the-job training. Whilst some organisations (often in customer-facing operational environments) find this a challenge, in other roles (such as engineering), it can be incredibly important, due to the need to develop underpinning knowledge before applying it in practice. What is important to know is the 20% time away from the job can be managed in lots of different ways. It is not necessarily day release for example. Working with a partner who can help you understand the flexibilities available to you will pay dividends in the long run. You will be paying the apprenticeship levy at a rate of 0.5% of your annual wage bill if it totals £3million or more. This is collected on a month by month basis by HMRC. Your organisation can then access the levy pot to recruit apprentices. If you are not a levy payer, the government will fund 90% of an apprenticeship for you, with you paying the remaining 10%, with some concessions to this where you wouldn’t pay anything. This means your contribution towards the training and development for the full period of the apprenticeship would be £1,800 if you agree a price with the training provider of £18,000 (you may negotiate a lower overall price which would in turn reduce your contribution). It is up to you and the training provider to agree how and when that is paid, with some minor boundaries put in place by the funding body to ensure we as employers pay our share. In both scenarios, you are responsible for paying the apprentice’s wage. There is a minimum wage for apprentices of £3.70 for apprentices under 19 and those aged 19 or over who are in their first year. You may want to pay more and even consider increasing pay as milestones are achieved throughout the duration of the apprenticeship. One of the biggest changes to apprenticeships in the last four years is the introduction of end-point assessment (EPA). This means that at a suitable point in time, you will decide (in consultation with the training provider and apprentice) that the apprentice does not require any more training and is ready to be put forward for the end-point assessment. A third party end-point assessment organisation, chosen by you from an approved register, will undertake a rigorous period of testing of the apprentice to determine whether they will pass their apprenticeship. Whilst this is a new dimension to apprenticeships, the feedback on early end-point assessments has been positive from both the employer and apprentice perspectives. An apprenticeship is a vehicle to develop your existing staff members. To retain good staff, it’s important to provide opportunity for robust continuous professional development. Apprenticeships offer a vehicle to support movement of staff into new roles, underpinned by a structured programme of learning and development. KATO – Level 3 Award in Undertaking End-Point Assessment – blended learning course (in-house) →← Has end-point assessment removed the need for on-programme assessment?